This past summer something strange happened along the west coast of Chile: it rained. While only a fraction of an inch fell, it damaged homes, blocked roadways and even forced the cancellation of a football game. Here it rains so rarely that people are not prepared for rain. When it does rain it becomes a national disaster. This rain fell on the driest desert in the world, the Atacama. 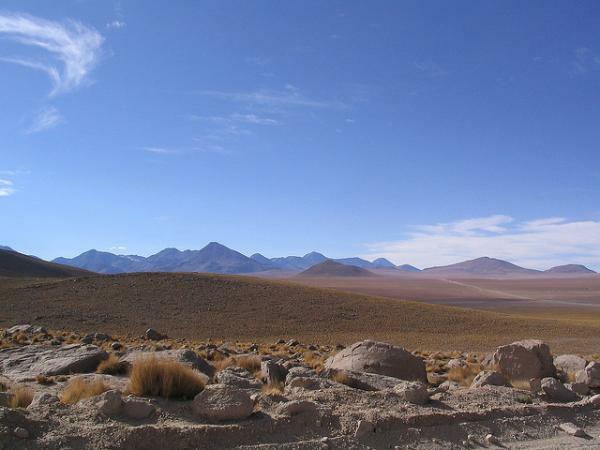 The fraction of an inch that fell was five times the annual average of 1 mm for the arid coast, which lies in the rainshadow of the Andes Mountain Range. This storm also dumped one meter of snow on mountains that normally receive no precipitation during the winter months.